A Y-cable to connect 4x4-Pin PWM fans to one 4-Pin PWM connector. 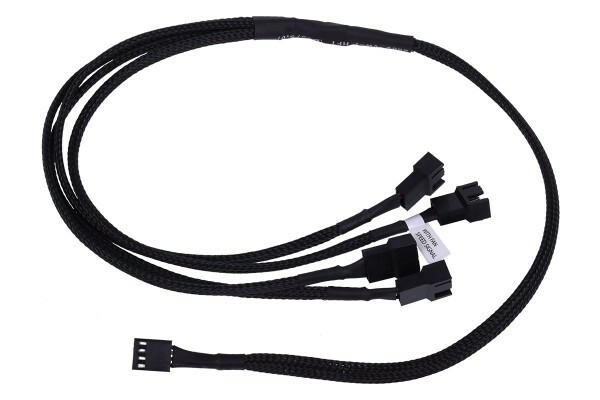 Is this splitter still able to PWM-control all 4 fans even though only 1 of the splitter wires has an actual 4-pin PWM-connector? The connector for mainboard transfer the pwm signal to the other 4 connectors. The cable with withe sticker transfer only speed information. The cable with white sticker. Can i split him ones more?